Harold Budd is nothing if not consistent, how the man can keep up such an enviable catalogue is beyond me, and this latest full length is no exception to the rule. ‘In The Mist’ is a smudged collection of downplayed, melancholy solo piano pieces and in typical Budd fashion there is as much space as there is sound. 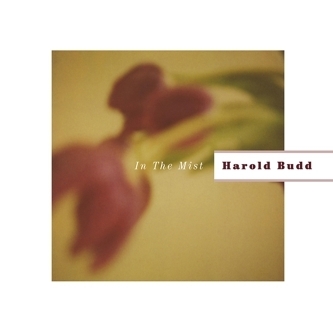 Budd has never been afraid of letting the silence speak as much as the sound itself, and ‘In The Mist’ is maybe his greatest testament to that as he patiently extends phrases allowing their haunting beauty to sink in over the seconds, minutes and hours. There is a pensive, nostalgic quality to the record, seemingly backed up by the dedications (to Derek Jarman, Cy Twombly and Mika Vainio) and at times I don’t think Budd has sounded sadder or more reflective. This is an album for the darkest nights and loneliest moments – and is all the better for it.